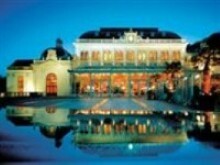 The Grand Casino Baden near Vienna is one of the biggest and most beautiful casinos in all of Europe. Signing up for the Lucky Card Programme guests have a discounts of up to € 20. 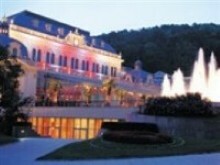 A real highlight at the traditional Grand Casino Baden is the exclusive four course Dinner & Casino Menu created by DO & CO, one of the most renowned gourmet eateries in Austria. 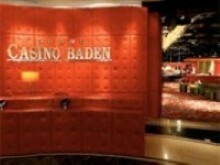 Casino Baden excites with great events, top tournaments and its unique atmosphere. The Buffet at the Casino event offers dishes from Mediterranean cuisine, specialties from America, Asian delicacies and seasonal treats on an alternating basis. Bus (Wiener Lokalbahnen) Vienna - Baden - Vienna The bus is running between the Viennese Opera and Casino Baden. Travel time is about 45 minutes. 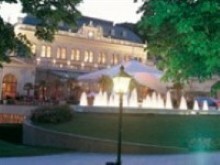 Ticket price from Vienna to Baden is € 5,70 per person. The Wiener Lokalbahn is running every quarter of an hour from the Viennese Opera till 20.42 (from 20.12 only half-hourly) e.g. 15.10, 15.25, 15.40, 15.55, 16.10 etc. Departure from Baden Josefsplatz every quarter of an hour till 19.30 afterwards half-hourly till 23.30 e.g. 21.00, 21.30, 22.00 etc. Taxi: You can find a taxi rank directly in front of the Casino - official fares are valid.